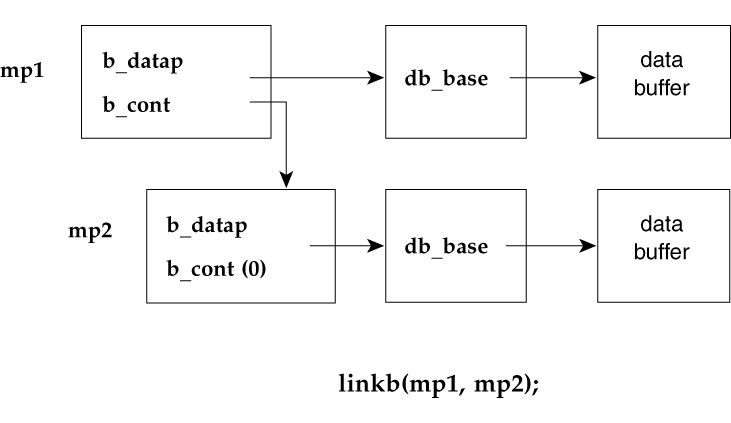 The linkb() function creates a new message by adding mp2 to the tail of mp1. The continuation pointer, b_cont, of mp1 is set to point to mp2. The linkb() function can be called from user, interrupt, or kernel context. See dupb(9F) for an example that uses linkb().